While men still dominate the winegrowing business, women are coming on strong. Here are four from the Sacramento region who are making their mark in a changing industry. The first female vintner on record in California was Josephine Tychson, who took over Tychson Cellars in St. Helena following her tubercular husband’s suicide in 1886. Under her leadership, Tychson Cellars constructed a new wine cellar capable of holding 30,000 gallons of zinfandel, burgundy and riesling, and the vineyards expanded to 65 acres before she sold the business in 1894. The statistics show that males still dominate the upper echelons of the wine industry. 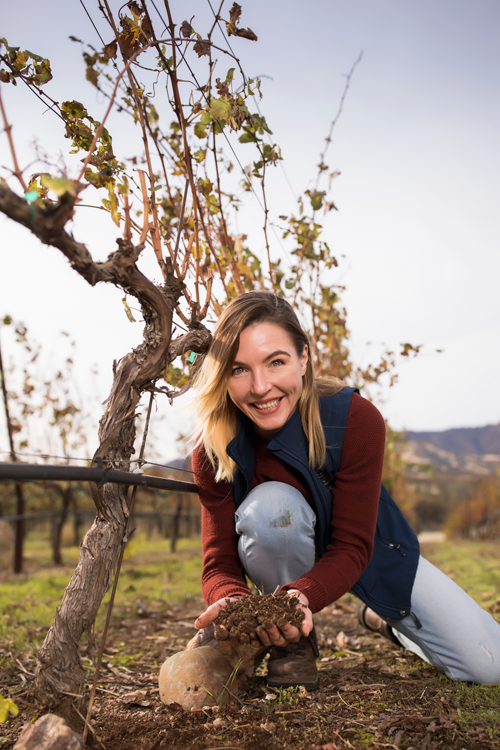 According to a 2015 study, 10 percent of head winemakers in California are female, and only 4 percent of them own their own wineries; meanwhile, fewer than 15 percent of Master Sommeliers are women. But a new generation of talented, tenacious and highly accomplished wine professionals is changing the conversation. The Advanced Sommelier exam is a three-day course administered by the Court of Master Sommeliers that tests candidates on wine knowledge, service skills and blind-tasting abilities. Candidates generally spend about two years, several hundred study-hours and several thousand dollars just to get to the exam, which they probably won’t pass. It was at The Firehouse that Mandalou met her future husband and business partner, chef Deneb Williams. But it was during her job interview with Joe Vaccaro at Ella that she first asked about the Certified Sommelier pin on his lapel. Ella provided an education by fire for Mandalou, who was eventually promoted to the assistant sommelier position. Nicole Salengo has such an infectious energy and enthusiasm, she can literally get you excited about dirt. When Salengo steps out the back door of the winery, she gets a stunning view of the real Berryessa Gap, as well as a reminder of the area’s potential as a winegrowing region. “We get special weather from that gap,” she says. “We get a lot of cooling winds, particularly in the evenings, which is basically perfect for grape-growing.” Her grand vision for Winters involves fully realizing that potential and hopefully converting some of the area’s many walnut orchards to wine grapes. 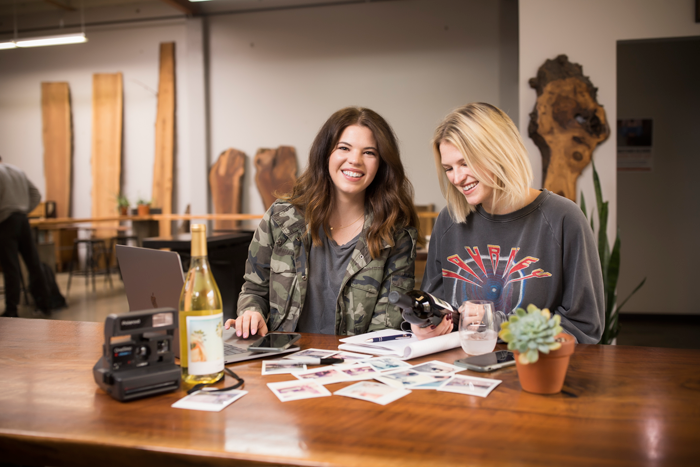 Sisters, roommates and best friends Sami and Rachel Ruddick have been immersed in the wine industry their entire lives. Their family has grown wine grapes and pears in Mendocino County for five generations, but it remained unclear how agriculture business student and amateur winemaker Sami, 25, and graphic design major Rachel, 22, would fit into the family legacy. After all, the family vineyard only supplied grapes and never produced its own wine. 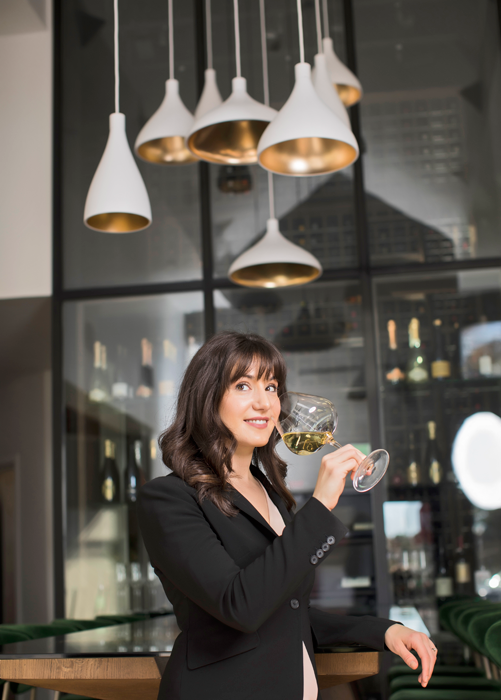 “It wasn’t clear that wine was what we were going to do,” says Art Institute graduate Rachel. That all changed last year when the Ukiah natives teamed up to start Largo Ridge Wines, using fruit purchased from the family farm. The collaboration was a natural fit, with Rachel focusing on label and website designs for Largo Ridge and Sami handling most of the customer service and sales. “We definitely use different parts of our brain, so together we make one full brain,” Rachel says of the sisterly collaboration. Unique characteristics: Cantina Terlano was founded in 1893 in the German-speaking Tyrolian region, with the grapes grown at high altitude in warm temperatures. Tasting notes: White peach, quince, some savory qualities and natural mineral notes from the volcanic soil. “It tells a story of where it’s from,” Mandalou says. Unique characteristics: Salengo credits the stark differences between the 2015 tempranillo and this more restrained 2016 vintage to her continuing evolution as a winemaker. “It is always a work in progress,” she says. Tasting notes: Red and dark fruits, cocoa and a touch of spice, with medium body, silky texture and relatively low acidity. Suggested food pairings: Every November, Berryessa Gap holds a paella cook-off and dinner to celebrate the end of harvest and commemorate the Spanish heritage of the winery’s owners. Iberian varietals like tempranillo pair perfectly with paella and Spanish-style tapas. Tasting notes: Juicy red fruit, especially raspberries, with a well-rounded balance of acids and tannins.